Jessie is HOME with Jeannine and Piper in the Hyde Park area. Jeannine fell in love with the breed when she adopted Piper in 2014. Jessie met them several weeks ago and when she was adopted today felt very comfortable in her new surroundings! 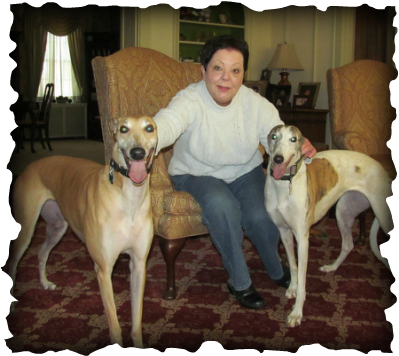 Just look at Piper's SMILE, she is so glad to have another greyhound in her family. Jessie is very special and has found the perfect home!